Hikari ni Yosete EOPM is provided for you and if you think it can be optimized such as adding the dynamics etc, welcome to provide us with the more perfect Hikari ni Yosete EOP and EOPM! 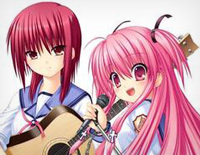 Hikari ni Yosete is used as one of the original soundtracks to the game Little Busters!. And it was composed by Shinji Orito who is a Japanese musical composer. Little Busters! is Key's sixth game, along with other titles such as Kanon, Air, and Clannad.